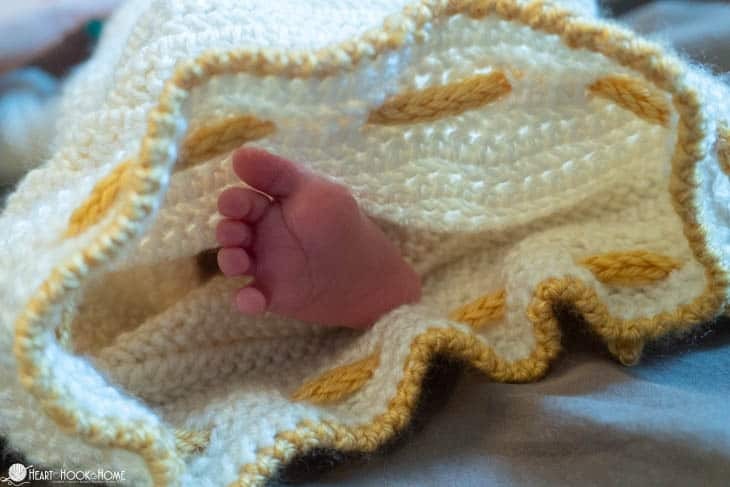 I love trying new things with crochet. 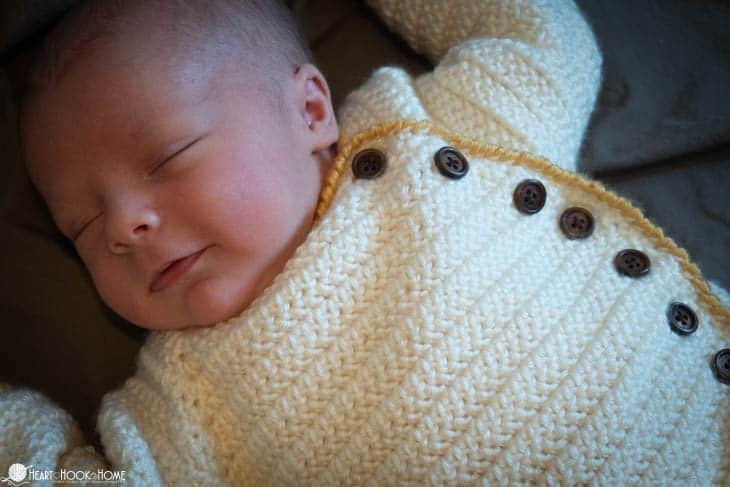 This top-down newborn drawstring sleep sack is the perfect, elegant baby shower gift. The drawstring for easy access at nighttime diaper changes is a nice little bonus! 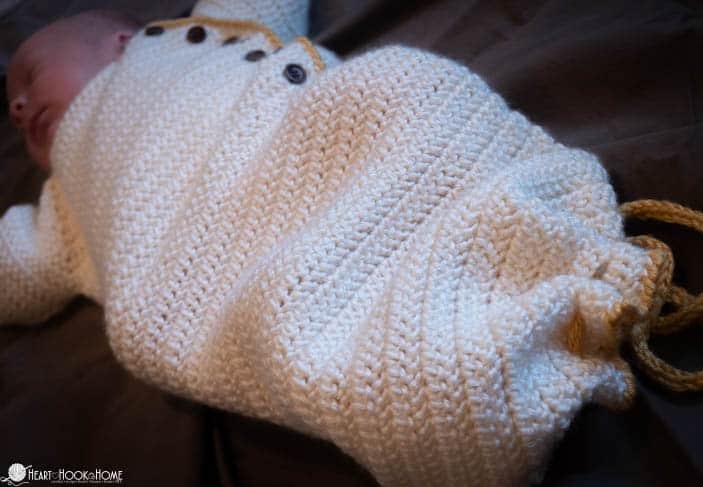 This sleep sack uses a lightweight/DK/baby weight yarn. 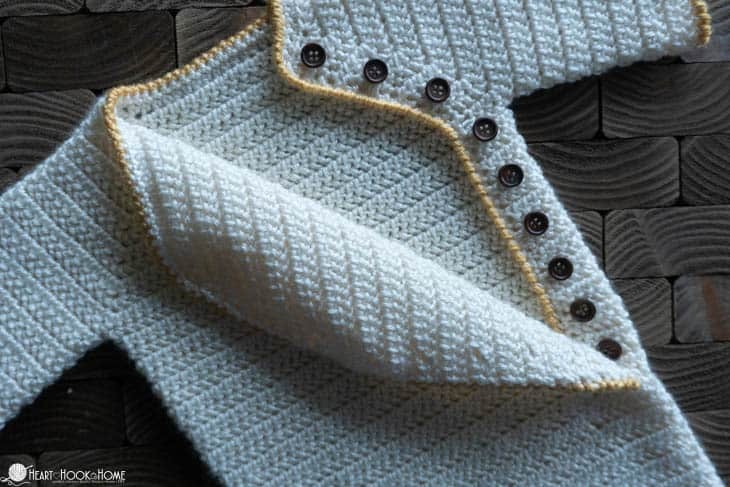 This yarn and hook choice gives this sleep sack a phenomenal drape and squish factor, and the texture using the Herringbone Half Double Crochet is to die for! 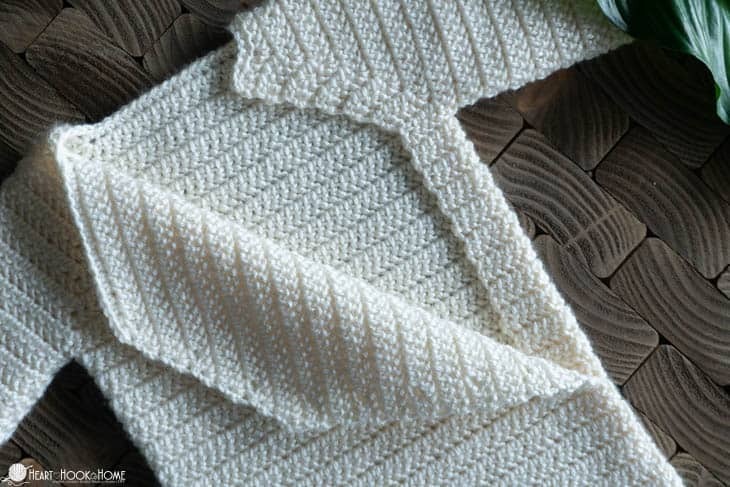 If you are unfamiliar with the herringbone half double crochet, it is very similar to the regular half double. 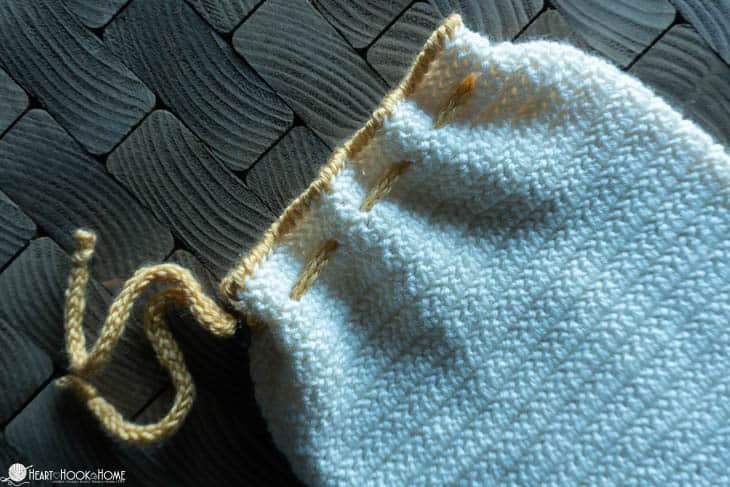 And if you’re anything like me, you may find your work a bit slower going using this stitch. 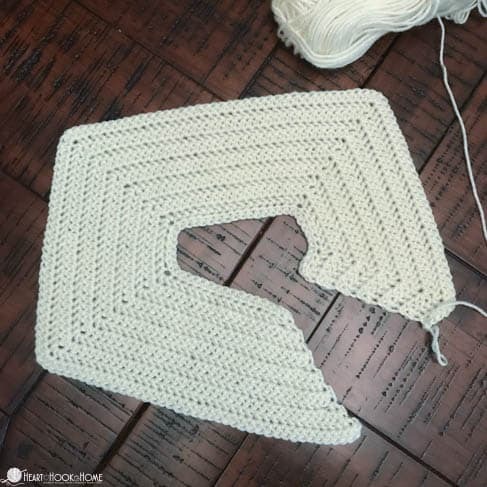 It is absolutely okay to substitute regular half double crochet if you prefer. 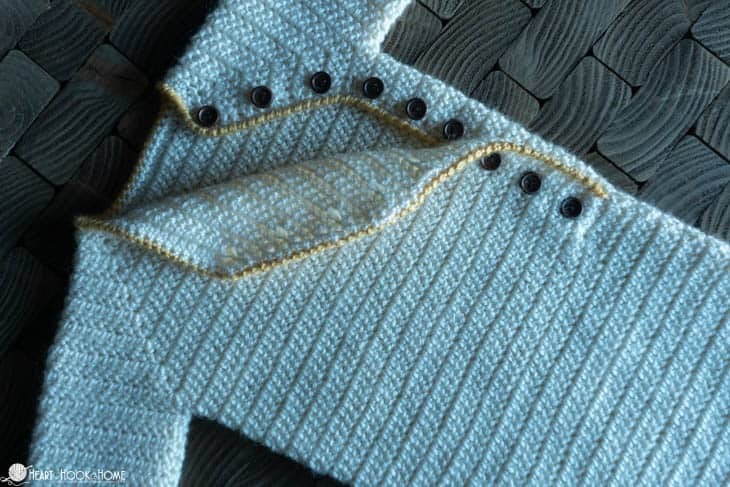 Place first st of each row in same as turning (turning chain does not count as a stitch). 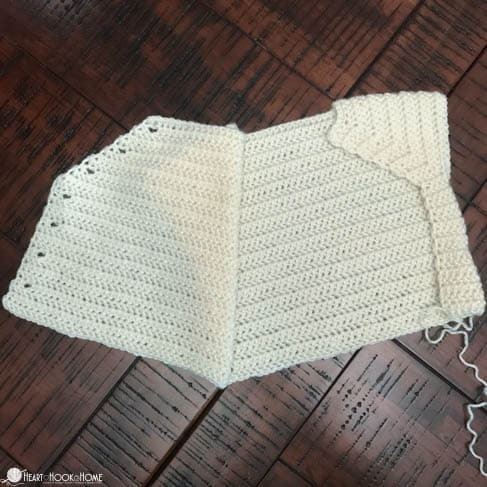 If you would like to use snaps for closure instead, simply omit the buttonholes by crocheting a regular hhdc in the ch-1, sk-1 space. 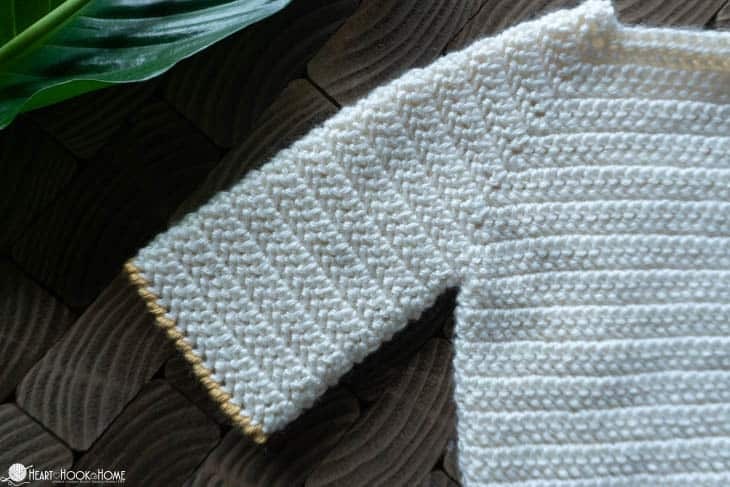 Get the ad-free, printable version of this pattern (and/or add to your favorites) on Ravelry here. 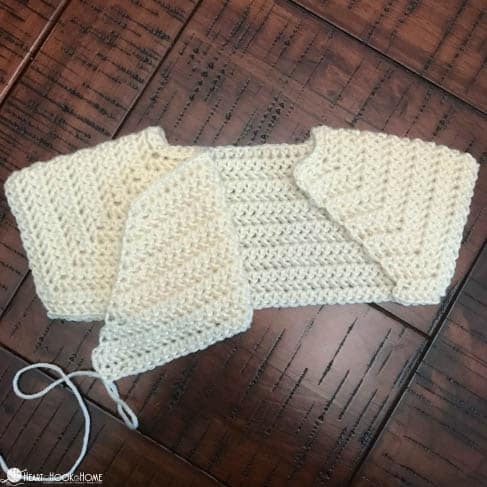 Row 1: Ch-1, sc in each row end up, around collar, and to inside corner. 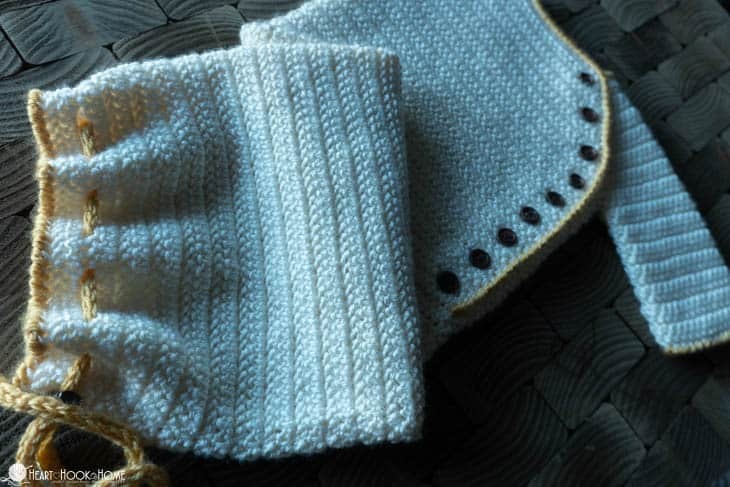 Row 2: Do not turn, change to accent color, crab stitch in each st around, all the way back to where you started. Fasten off and weave in all ends. 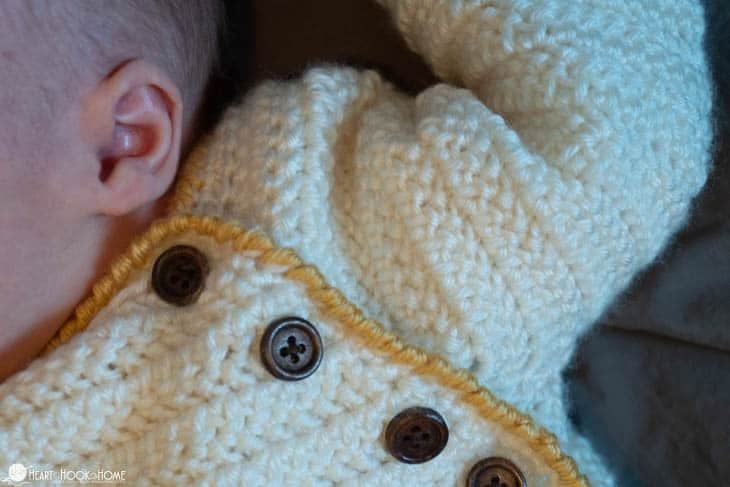 Place buttons (or snaps if not using buttonholes). 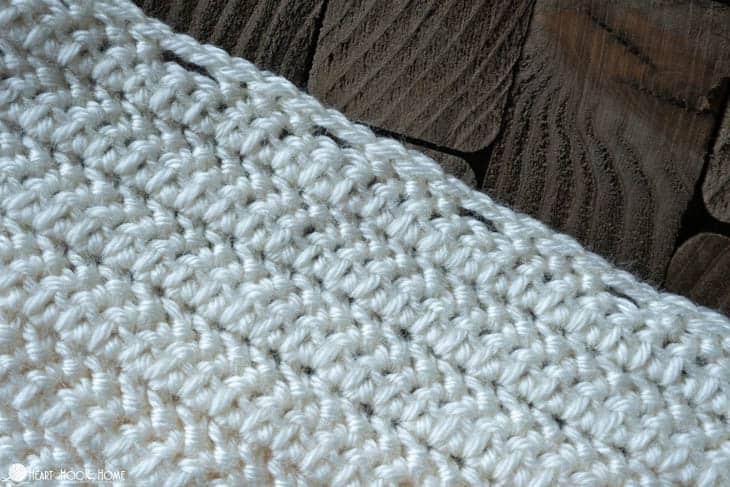 Using your accent color, crochet an i-cord approximately 26″ in length. 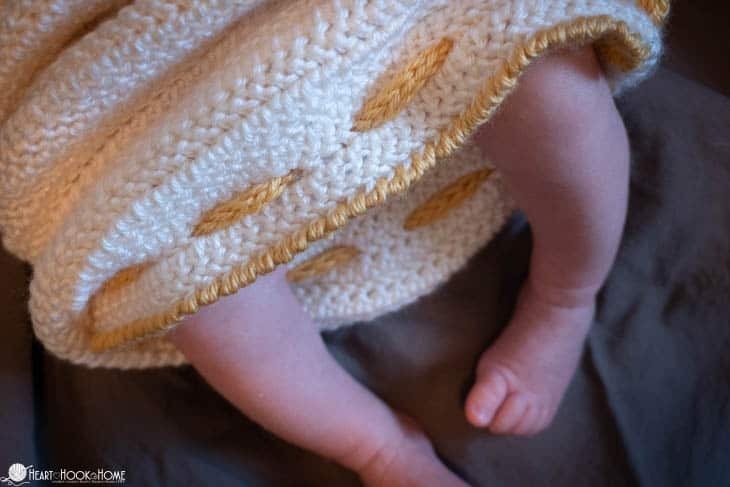 Feed it through the openings on the bottom of the sleep sack, and secure with a cord stopper. If you’re worried about safety, you could simply tie it like a shoelace instead. 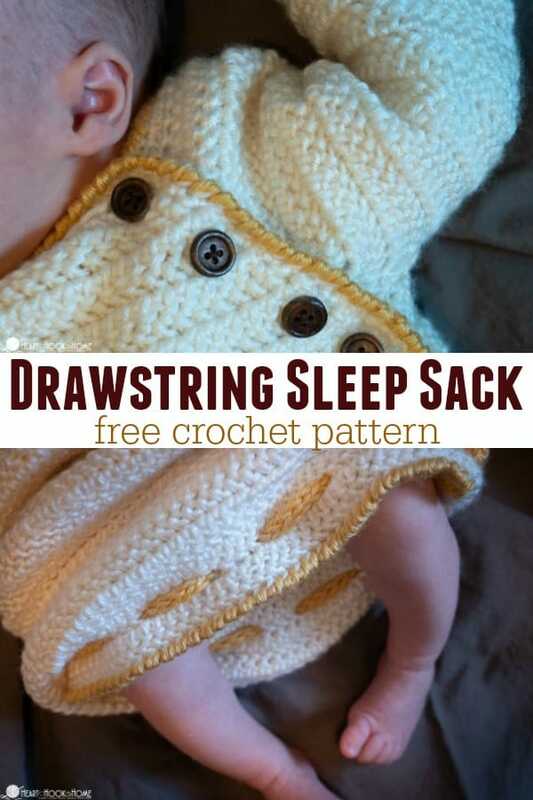 If you like, you could omit the drawstring holes altogether and sew the sleep sack closed instead. Ta-da! 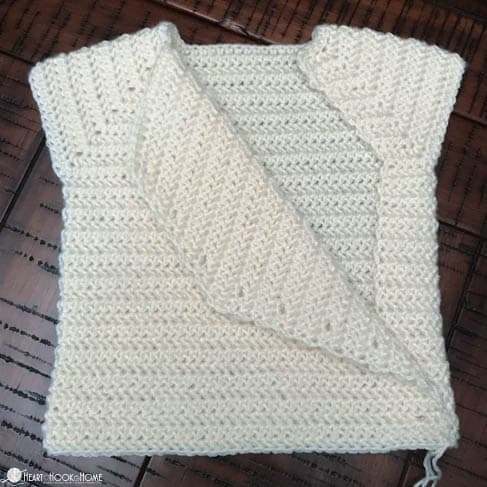 This is a beautiful, straight-forward pattern for a lovely little newborn sleep sack. The drawstring adds just that extra bit of elegance, don’t you think? Ashlea, I am having trouble on row 14. 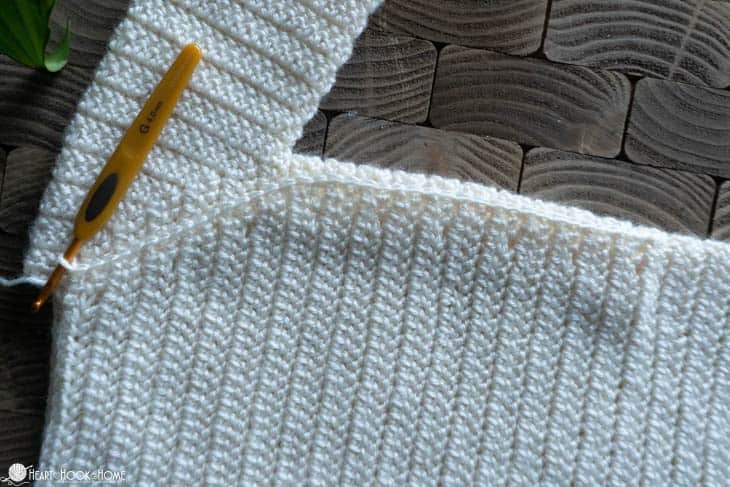 My previous row count is correct but I am coming up a stitch short. Hi Ashlea I'm not seeing any pictures and I know your patterns always have several. 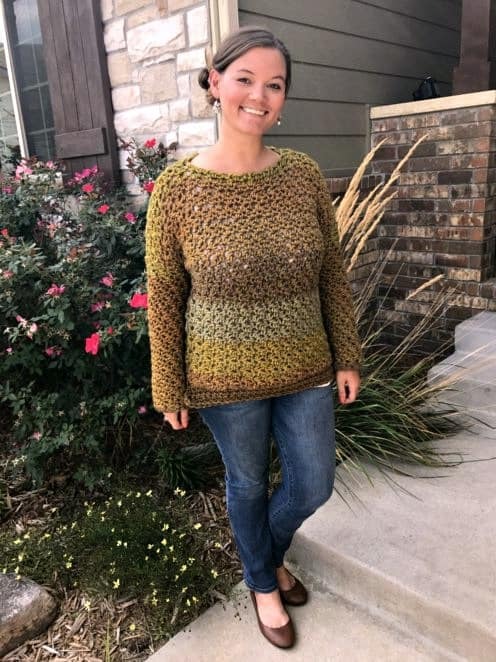 Ashley, can Mandela yarn be used? Will it have the same drape? Hi Adelle! I think Mandala would work up nicely! How do you attach the buttons? This is so cute!! 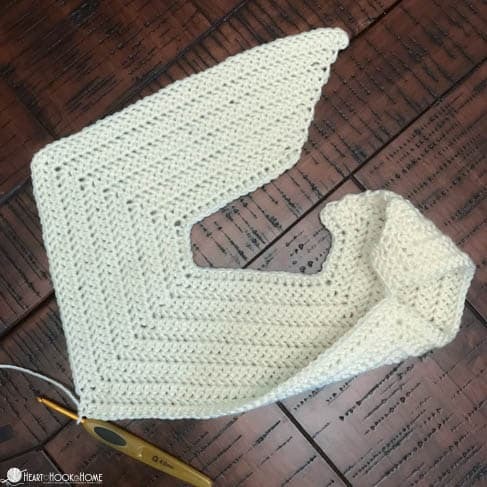 I'm new to crocheting and really want to learn to make this. I'll have to learn all the acronyms first, but the stitch itself looks pretty easy. 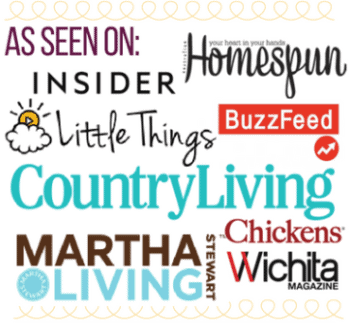 Thank you for sharing this along with the adorable baby!! 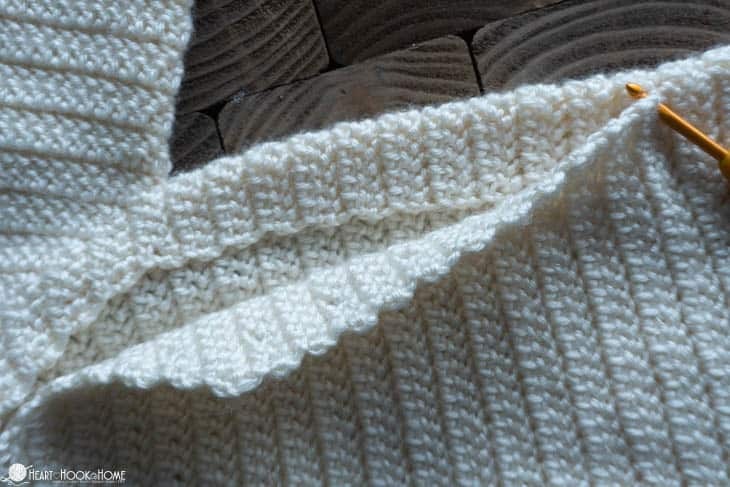 I wanted to know if there us a video for this stitch on YouTube or a video that I can follow along with.